The new 2018 Halloween remake has the distinction of being the first film in the series with creator John Carpenter's direct involvement since 1982's Halloween III: Season of the Witch. Carpenter serves on the new David Gordon Green-directed installment as an executive producer, a creative consultant, and, thrillingly, as a soundtrack composer, alongside his collaborators from his three recent solo albums, Cody Carpenter and Daniel Davies. 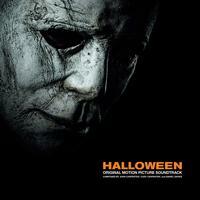 The new soundtrack pays homage to the classic Halloween score that Carpenter composed and recorded in 1978, when he forever changed the course of horror cinema and synthesizer music with his low-budget masterpiece. Several new versions of the iconic main theme serve as the pulse of Green's film, its familiar 5/4 refrain stabbing through the soundtrack like the Shape's knife. The rest of the soundtrack is just as enthralling, incorporating everything from atmospheric synth whooshes to eerie piano-driven pieces to skittering electronic percussion. While the new score was made with a few more resources than Carpenter's famously shoestring original, its musical spirit was preserved. "We wanted to honor the original Halloween soundtrack in terms of the sounds we used," Davies explained. "We used a lot of the Dave Smith OB-6, bowed guitar, Roland Juno, Korg, Roli, Moog, Roland System 1, Roland System 8, different guitar pedals, mellotron, and piano." Unlike the Lost Themes albums, where the composers wrote the soundtracks for imaginary movies, Halloween saw the Carpenters and Davies collaborating on music set to images for the first time. Though it marked a significant change from their previous creative process, the trio thrived under the constraints and tight deadlines that film scoring work demands. "Being limited by the length of time in scoring the sequence, we focused on the director's tempo, timing, and vision," Davies said. "He would tell us what he had in mind, how long the cue should be, what emotion he wanted, and we would take it from there. It's only the three of us, there is no elaborate system. We wrote, performed, and orchestrated everything." For John Carpenter, who reunited on the 2018 film with original Halloween star Jamie Lee Curtis, composing the score felt like a homecoming. Not only had he not worked on a Halloween movie in 35 years, he hadn't composed a soundtrack since his 2001 sci-fi thriller Ghosts of Mars. "It was great," Carpenter said of the experience. "It was transforming. It was not a movie I directed, so I had a lot of freedom in creating the score and getting into the director's head. I was proud to serve David Gordon Green's vision."